More than 80 percent of drivers age 65 and older regularly take medications, yet only half have talked to a medical professional about possible safety issues related to driving. With 10,000 Americans turning 65 every day, AAA is promoting Roadwise Rx, a first-of-its-kind tool to help seniors understand how medications may affect their ability to drive safely. Developed by the AAA Foundation for Traffic Safety, Roadwise Rx is an online tool that details common side effects of prescription and over-the-counter medications. The tool generates personalized feedback on how medications, herbal supplements and foods, and their interactions with each other, can affect safety behind the wheel. Drivers are encouraged to discuss the confidential results with their doctor or pharmacist to learn how to mitigate possible crash risks. "With seniors often visiting primary and specialty doctors regarding their different health care needs, it is important for each provider to know all medications being consumed," said Beth Mosher, director of public affairs for AAA Chicago. "Roadwise Rx lets users move beyond the old-fashioned 'brown bag' review with an easy way to virtually pool together their medications and talk to their doctors." "Earlier research by the AAA Foundation for Traffic Safety found that nearly one out of five older drivers use five or more prescription medications. 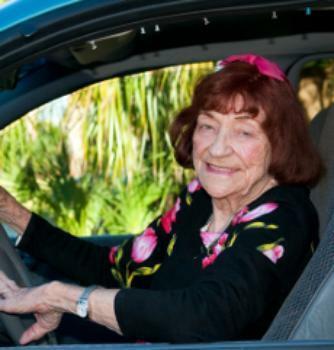 With medical conditions typically on the rise as people age, and treatment often dependent on medicinal interventions, there was a critical need to develop a tool to help older drivers understand the safety risk," said AAA Foundation President and CEO Peter Kissinger. "Roadwise Rx is the only tool of its kind that looks at medications and associated driving hazards." It is estimated that by 2020 -- just eight years from now -- nearly one in six people will be age 65 or older and most of them will still be licensed to drive.